Ambassador Daniel B. Shapiro, former United States Ambassador to Israel, will join Columbia/Barnard Hillel, the Kraft Center for Jewish Student Life, as a visiting scholar in residence for the 2017-18 academic year. Ambassador Shapiro will spend time on campus in the fall and spring semesters and will meet with groups of students who visit Israel over winter and spring break. During his time on campus, Ambassador Shapiro will meet with students, professors, members of the University administration, alumni and parents. 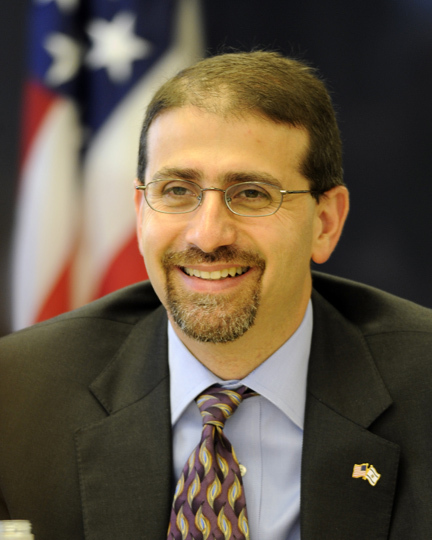 Ambassador Shapiro was appointed by President Obama and served as US Ambassador to Israel from 2011 – 2017. He previously served as the senior director for the Middle East and North Africa on the United States National Security Council. Ambassador Shapiro holds a B.A. from Brandeis University and an M.A. from Harvard University.